Are you interested in joining a corporate board or have you recently obtained a seat on your first board? You may find the Drexel LeBow Center for Corporate Governance’s Directors Academy program to be quite beneficial. The program provides an intensive and highly focused interactive dialogue for board-ready individuals who aspire to serve on public, private and nonprofit boards or those serving on their first board. 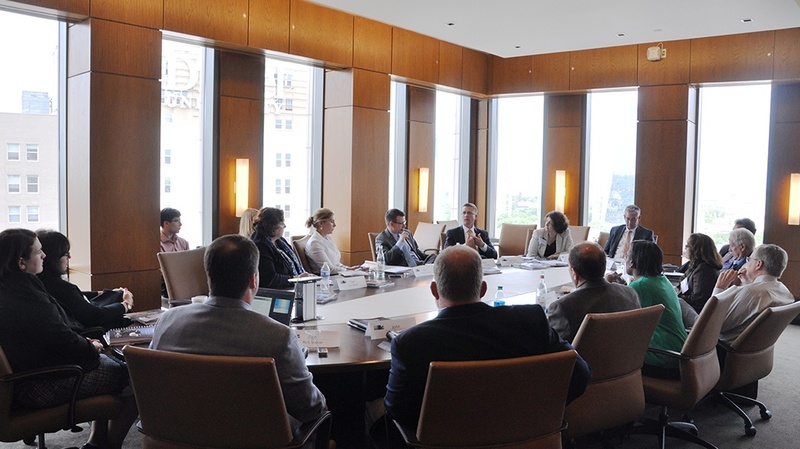 Participants gain the perspectives from members of the C-suite, seasoned directors, regulators and policy makers, and legal and financial service experts on key trends and challenges, as well as boardroom insights. The Spring 2015 Directors Academy program, titled “Governance Challenges and Priorities Affecting the Boardroom Agenda” focused on one of the major challenges facing new board members – the change from the mindset of a hands-on executive to a role of shaping and monitoring the agenda for a corporation. The program’s sessions were centered on what it takes to accomplish this change, such as varying pressure from shareholder activists, including open warfare over compensation, board composition and even the configuration of the business units and assets of the corporation as they have historically developed. Participants who attend two sessions of Directors Academy are awarded their Certificate in Corporate Governance, demonstrating their knowledge of leading practices and challenges affecting the boardroom. Since the program’s start in March 2013, fourteen participants have received their certificates, with Elba Deck who is Director of Accounting and External Reporting at American Water receiving her certificate Thursday evening at the Directors Academy reception. The fall session of Directors Academy will be held Tuesday, October 27 and Wednesday, October 28, 2015.